Year after year, Mount Snow is ranked tops in the East when it comes to terrain parks and pipes. That's no surprise. It was Mount Snow, after all, who opened the first terrain park in the East - Un Blanco Gulch - and has been setting the standard ever since. With four terrain parks covering more than 40 acres, a superpipe and a tubing park, Mount Snow's got something for everyone. Kids can get a feel for terrain parks with Grommet, a teaching park. Grommet is specially designed with mini versions of the same features found in the bigger parks. This is the place for sharpening your skills before moving on up to Un Blanco Gulch, so you can look like a pro when you get there. Grommet features rails, boxes, rollers, banked turns and mini tables over an acre of terrain. It's located on Beaver Hill, right behind the Grand Summit Hotel. Mount Snow hosts three different events designed specifically for little skiers and riders during the season. The Kids' Grommet Jam Series includes a morning session with coaches from the Alpine Training Center, who provide instruction to participants for staying safe in terrain parks while polishing their technique. Then in the afternoon, children ages 6-12 compete in a park jam. Events are held December 30, January 15 and March 11. 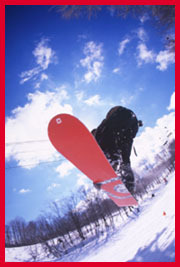 For more information about Mount Snow terrain parks and programs, visit MountSnow.com/parksandpipes .